Be prepared to see more positive coverage like this about how awesome Ghana is on CNN. Ghana’s Tourism Board has partnered with CNN to promote positive coverage of the region estimating at $1.5 Million. Along with this, as well as events such as Chocolate Day, the Paragliding Festival, and Emancipation Day, Ghana hopes to make its country attractive to international tourists and investors. Does this mean that the Ministry paid/will pay CNN for positive coverage? 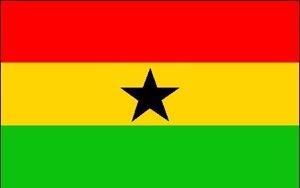 I’m all for promoting travel to Ghana. My own story of deciding to move there after a short visit is testament of how impressed I was with the country. I didn’t even need to see coverage on cable news. And I think those like myself privileged enough to travel for leisure should visit Africa as a whole, and West Africa in particular. In the case of Black Americans who travel to Africa, there at times seems to be more of an affinity to South Africa for the shared history if segregation and Apartheid. Due to the Trans-Atlantic Slave Trade however, visiting West Africa can give context of a history prior to the slave trade, where sadly some of us believe our history began. I’d love some clarification for how this $1.5 Million goes in reference to CNN. If it is in fact payment, its unethical. I recently learned at an arts and culture journalism workshop in Ghana it’s quite the norm for media houses to charge artists and organizations for coverage according to time. For example one can call a radio station in Ghana and get the price for a featured interview. Event planners also charge journalists to “cover” their event. Political parties engage in this as well. After press conferences, political parties pay journalists for coverage. I thought it was a journalists job to look for the news. A journalists creates the content. If you’re being paid by an organization to cover the news, or if you’re charging for individuals/organizations to feature their content, thats more public relations (PR) and its unethical. You really shouldn’t call yourself a journalist. If CNN is in getting paid for this positive coverage of Ghana, I guess they’re not really a news organization. I hope this is not the case for CNN. I need some clarification. Below is the pages from the report referenced above concerning the tourism board’s partnership with CNN.